According to these Democrats (and a few Republicans), it is more “democratic” if we instead give all of our electoral votes to Bill Prill, who most of us don’t like at all, if more people in the country as a whole prefer Prill. But it may not feel very democratic to most Colorado voters if they have their electoral votes cast for the person they didn’t vote for. The background here is that eleven states plus the District of Columbia already have joined a National Popular Vote Interstate Compact. Colorado Senate Bill 42 would add Colorado to this agreement. The idea is that every state that joins puts its electoral votes for president toward whichever candidate wins the national popular vote. If every state joined this compact, the winner of the national popular vote would become president. Of course, not every state will join. As Barry Fagin points out, the compact is popular with Democratic states. States that often vote contrary to the national popular vote would be suckers to join. So long as only Democratic states join the compact, it will make no practical difference. It’s probably a safe bet, judging from the 2000 and 2016 elections, that a Democrat has to win the popular vote to win the electoral college, but a Republican might not need to. In 2000, George W. Bush beat Al Gore, and, in 2016, Donald Trump beat Hillary Clinton, despite Gore and Clinton winning the popular vote. In other words, if the Republican wins the national popular vote, California throwing its electoral votes to the Republican will not change the outcome. On the other hand, if the Democrat wins the national popular vote, then certain states throwing their electoral votes to the Democrat might change the outcome. Of course, those are the states least likely to join the compact. If Democrats can lock Colorado into following the national popular vote, then, even if Colorado voters again favor Republicans, they’ll still be forced to support the Democrat with their electoral college votes, whenever the Democrat gains more national popular support. Heads, Democrats win; tails, Republicans lose. 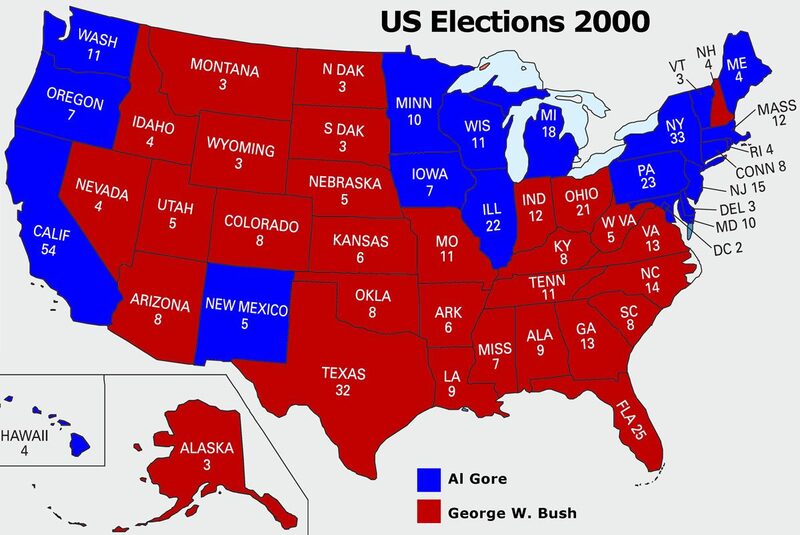 It is worth pointing out that, had the bill in question been in effect in 2000, Al Gore would have won the presidency. Bush won the electoral college by a scant five votes, and Gore won slightly more popular votes. Colorado, along with its eight electoral votes, went for Bush. Today’s Democrat-friendly Coloradans may rue the election of Bush. But consider that only 42 percent of Colorado voters favored Gore, whereas half favored Bush. Why should those voters’ preferences have been ignored and their electoral votes given to Gore? Or consider our hypothetical example again. If most people nationwide favor a candidate but only 35 percent of Coloradans favor the candidate, why should we reward all of our electoral college votes to the candidate we dislike, thereby handing him the presidency? As Coloradans, we should consider our values and interests as Coloradans along with our values and interests as Americans. We have no moral duty to surrender our votes to the whims of the rest of the nation. Federalism is a central tenet of American governance and a key source of our strength as a nation. The United States is not supposed to be a monolithic, centralized state. It is supposed to be a union of semi-autonomous states joined by a limited national government. When we participate in the election of the president as citizens of the various states, we help preserve our federalist system that acts as a check on national power. A national popular vote invites an increasingly imperial presidency. It promotes the myth that a popularly elected president somehow embodies an alleged national will. The president is supposed to be an executive of the country’s business, not the country’s ruler or parent. Many people complain, with some justification, that the electoral college as it now exists creates disparities of voting power between people of different states. But to solve that problem (to the extent it is a problem), we should look to other reforms consistent with the electoral college. I favor two specific reforms. To my knowledge, no Colorado Democrat has endorsed either of those reforms. Democrats are so stuck on a national popular vote that they will not even consider feasible reforms within the bounds of the electoral college system. True, these reforms would not result in perfectly equal presidential voting power between people of different states. But so what? The value of federalism is worth the trade-off. Even if all states had equal populations, and therefore equal electoral college votes, the electoral college system would be enormously beneficial. Although states can divvy up their electoral votes however they want, each state has a strategic interest in casting all of its electoral votes for the candidate with the most support among its voters. That way it maximizes its influence. Under this system, candidates have an incentive to do well in many states, not just focus on becoming wildly popular in a minority of states. I’ve followed others in drawing the analogy to best-of series in sports. If two teams play a best-of-five or best-of-seven series, it’s entirely possible for one team to score the most points overall yet for the other team to win the most games and thereby win the series. Part of what it means to be the best team is to show the most consistency across games. Similarly, we can reasonably expect that the best political candidate generally will show consistent support across regions, even if a competitor “scores” the most votes overall. Coloradans would be foolish to give away their vote for president to the rest of the nation. Unfortunately, Colorado’s Democrats may put the interests of their party above the interests of Colorado voters. January 28, 2019 Update: I did not clarify this point, made by Jesse Paul of the Colorado Sun: “The bill would go into effect . . . only if enough states actually adopted the measure to equal enough electoral votes to win the president.” This is an important point to bear in mind, but it does not alter my analysis. Previous Previous post: Will Libertarians Hand the Colorado Senate to the Democrats?